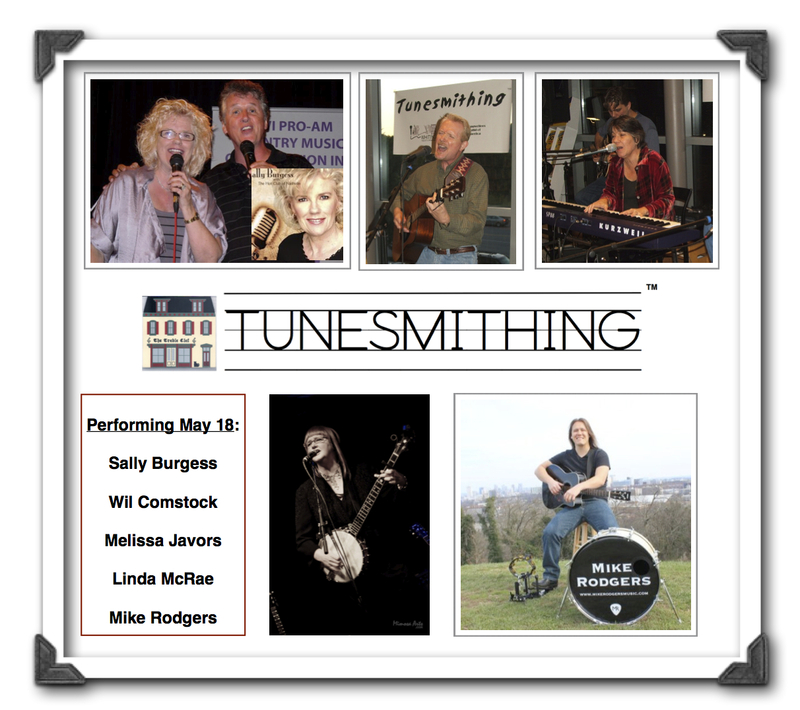 NASHVILLE, Tenn. (May 2016) -- "Tunesmithing" songwriters showcase will spotlight five Americana, country and jazz songwriting acts from 7-9:30 p.m. May 18 (Wednesday) at WXYZ Restaurant/Bar at the Aloft Nashville Hotel, 1719 West End Ave. (near Music Row). Attendees will enjoy original songs by Sally Burgess, Wil Comstock, Melissa Javors, Linda McRae, and Mike Rodgers. Admission is free. Food and beverages will be available for purchase. Publicist Chuck Whiting will emcee the show. Songwriter/audio engineer AJ Bigler will handle sound. "Tunesmithing" songwriters showcase is sponsored by Music City Arts Network. The monthly show was founded in 2003 to spotlight emerging, professional and hit songwriters, as well as artists of all kinds. The event offers mentoring, career growth and networking opportunities for artists at all levels. For more information about "Tunesmithing", call (615) 423-9857, write Info@Tunesmithing.com, or visit http://www.Tunesmithing.com.